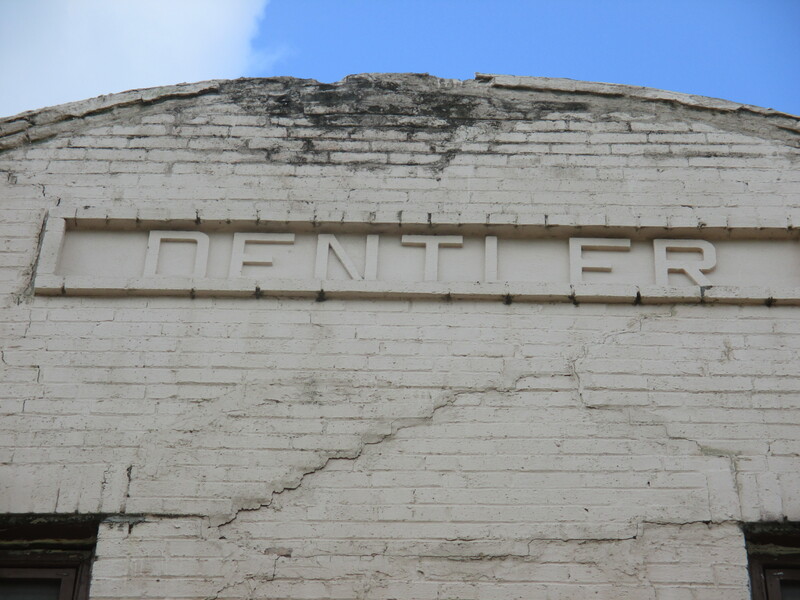 The Dentler Building is a masonry building, meaning that its structure consists of bricks instead of wood frame. 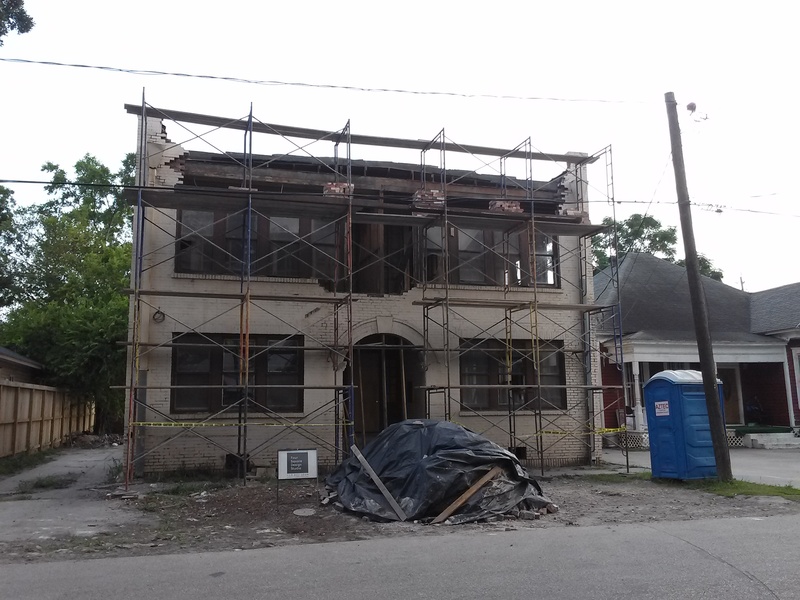 Although this makes for an extremely solid building, it also makes all kinds of repairs and improvements a little more challenging to achieve. 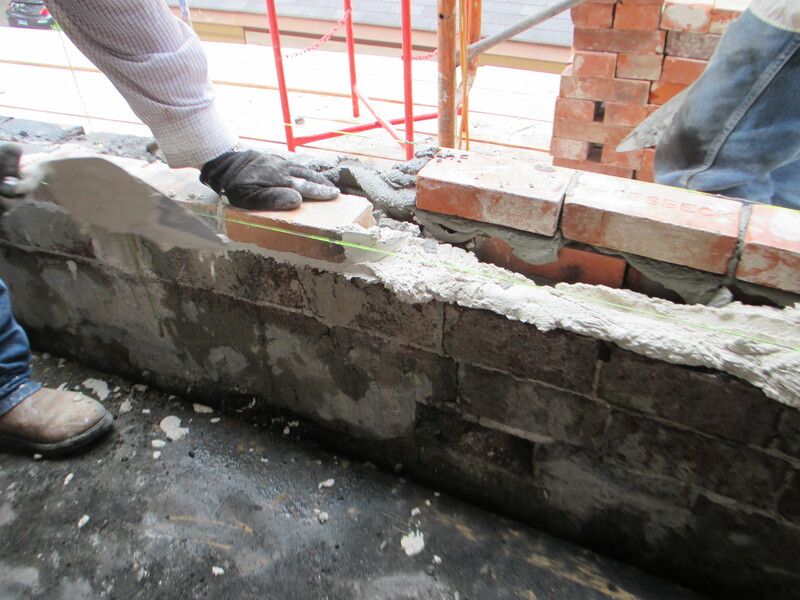 Unfortunately for us, it turned out that water penetration over the years had loosened the mortar in some of the brick, especially toward the front. 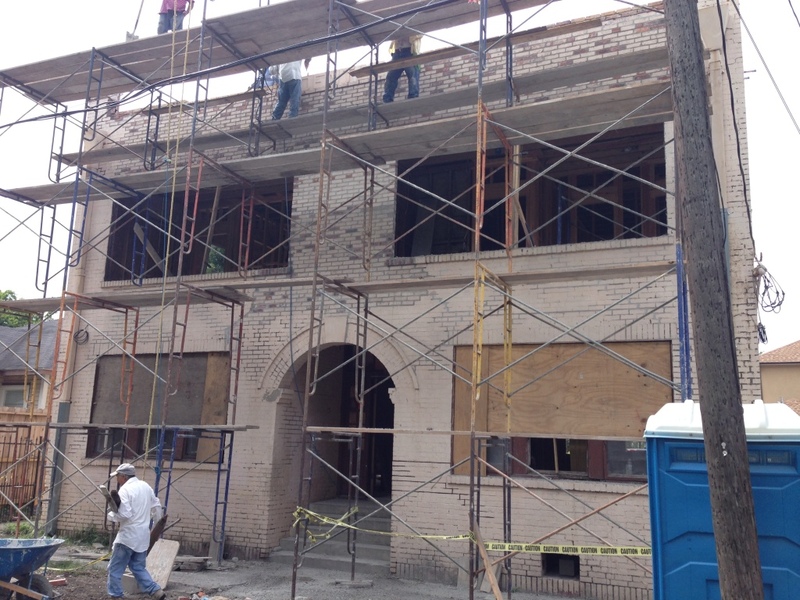 We ended up having to remove and replace about half the brick on the façade. 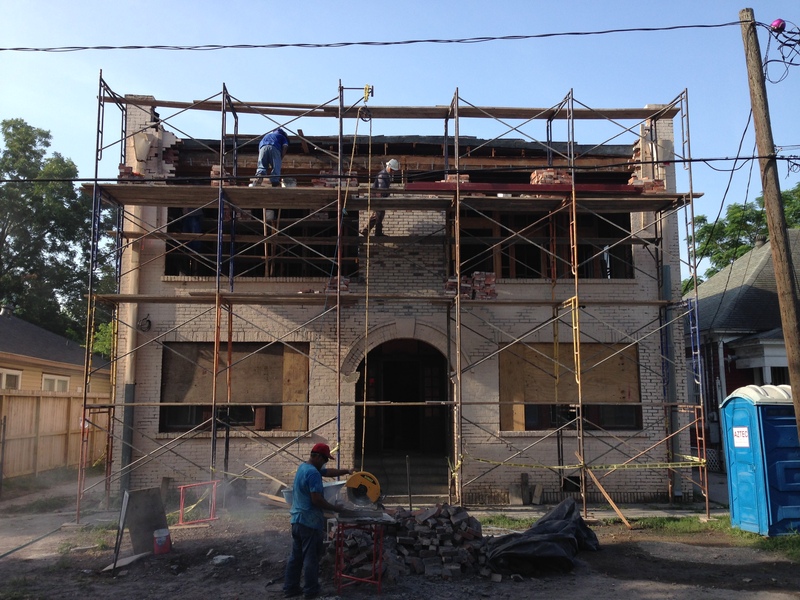 We had not counted on having to do this kind of open-heart surgery on the building, and were grateful to have a crew of highly skilled masons on the job. Here you can see some of the initial conditions, with cracking in the façade and deterioration at the parapet. Our crew of expert masons at work. The man in the foreground is using a saw to cut clumps of dried mortar off the old bricks, so that they can be re-used. 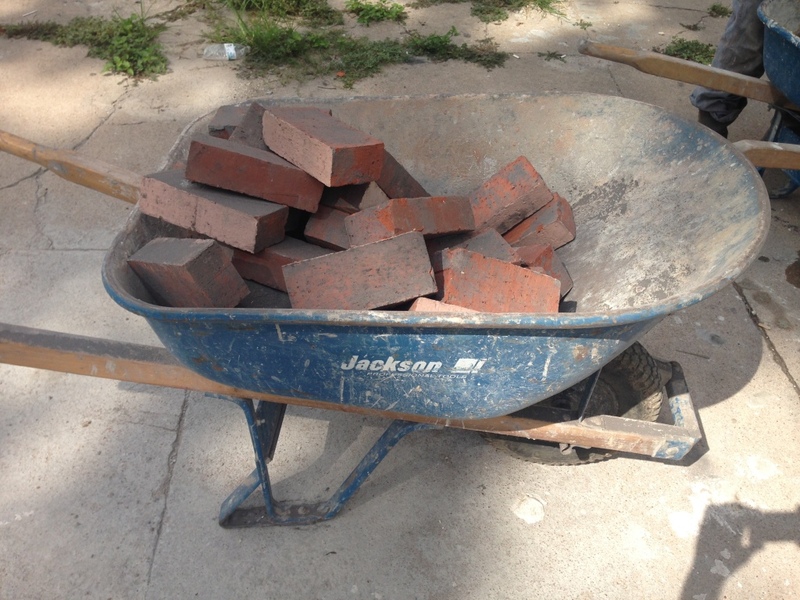 A barrowful of cleaned-up bricks, ready to go back into service. A close-up of the work in progress. Making headway. By this point, we were getting comfortable with the idea that this was all going to work out and that the building wasn’t actually going to fall down. Notice that the terra-cotta Dentler nameplate, which was carefully salvaged when disassembling everything, has just been replaced at the top. 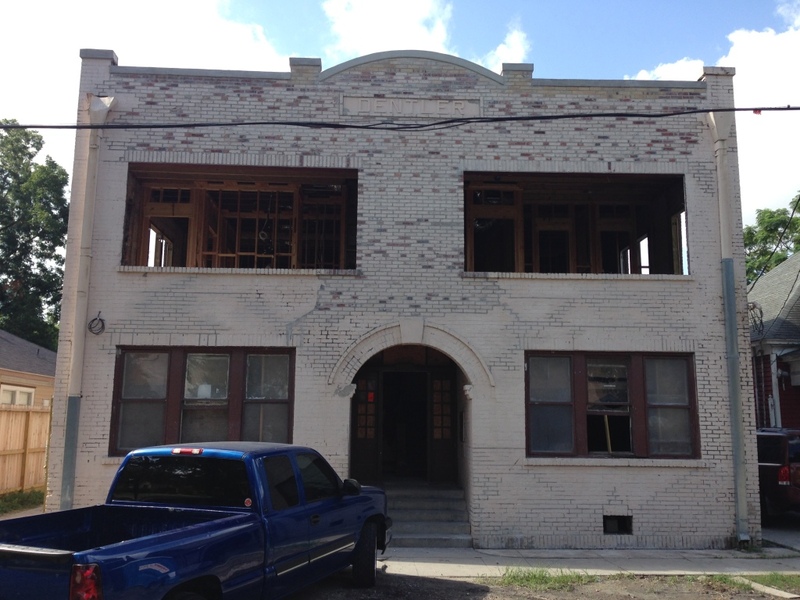 And finally, the building is back, looking better than it has in decades!